When was the last time, you and your team stopped what you do on a day to day basis, and spent some quality time, reflecting on what’s going well and what needs to be changed in how your team works? If you are like the majority of people, the answer will be never or a long, long time ago. Due to the pace of working life these days, quite often teams run on auto-pilot, each person undertaking activities, processes and procedures because “That is what I was taught when I joined the team.” or, “We’ve always done it that way.” I’d imagine you’re chuckling to yourself now, having heard those exact phrases uttered by yourself or a colleague. Because we are on auto-pilot, especially, if we have been doing our job for a while, we often don’t perceive the need to reflect. It is often the case, that everyone continues to do what they always done, until someone announces a corporate business process re-engineering project that requires every process and procedure to be scrutinised in detail. Speaking from experience, I know how time-consuming this can be. It is far better, to reflect regularly, to minimise the pain of wholesale change. So, do yourself and your team a big favour, STOP what you are ALL doing, get some quality time in everyone’s diary, go to somewhere away from your day to day surroundings and REFLECT on how things are going in your team. A small amount of time invested in reflection, can save you a huge amount of time in the future, plus make your team more effective and efficient. Reflection is one of the 16 Elements that support high-performance teamwork in the Team DyNAmics Model. 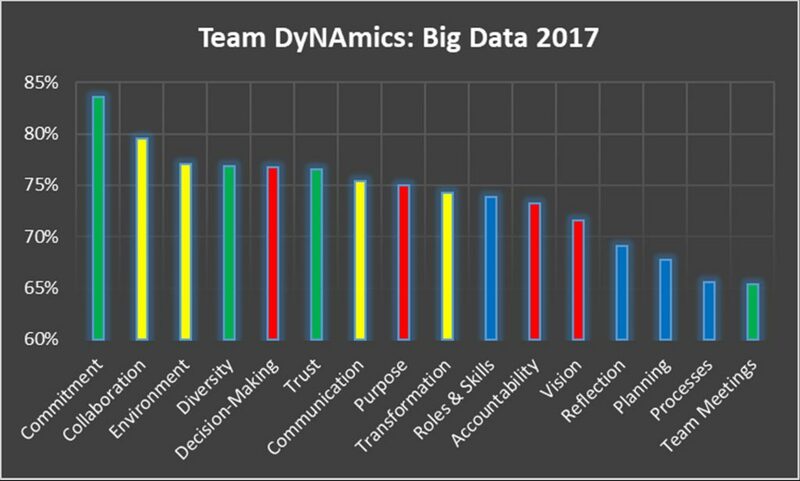 The 2017 Big Data, from those teams using the model to help them understand their performance, revealed that Reflection ranked 13th out of the 16 Elements. So what is Reflection? Why is it so important and why are teams not taking time out to do it? Quite simply, Reflection is taking time out, as a team, to review what happens in your team, to learn from what is going well, so you continue to do these things. It also provides teams with an opportunity to reflect on what is not going well and change these things, or indeed, stop doing them all together. Reflection is important in maximising effective teamwork, ensuring the team don’t undertake tasks, procedures and activities that don’t work, are not effective, are redundant or don’t support the purpose of the team or the team’s objectives. So what can you do to support reflection time in your team? Well, as mentioned, the first thing to do, is to get some time in everyone’s diary, where you can spend say, a minimum of 3 hours together. Also, find somewhere to get together that is away from your day to day working environment. Next, to keep the balance between the positive and negative, have two flipcharts and pens available. On one flipchart, head it up “What’s Working Well” and the other “What’s Not Working Well”. Make some post-it notes available for all of the team and get them to write their thoughts on them and post them on the appropriate flipchart. Review all the comments about things going well and ensure everyone agrees with them. Then, turn your attention to the comments about things not going so well. Explore each one in turn and consider and discuss, whether it needs minor changes, to make it work. Whether it needs a complete overhaul because it is out-dated or whether indeed it is something that is redundant and the team no longer needs to do. Finally, make sure that for every change that is agreed, someone in the team has responsibility for making it happen and also agrees by when the action will be taken. 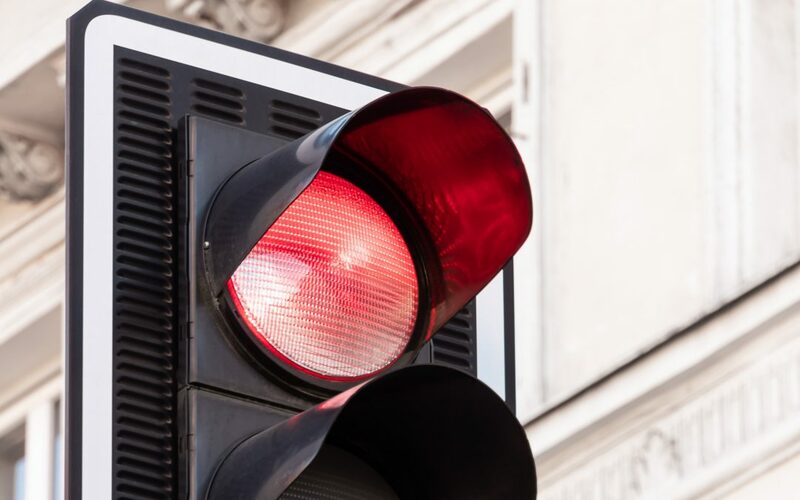 Depending on how many actions you agree and the timescales for these changes to be implemented, you may want to get another Reflection date in everyone’s diary to review how things have gone. The great thing is that once you’ve got the initial Reflection session under your belt, future ones shouldn’t take as much time. So, don’t forget to get your team to STOP and REFLECT!! Do you know or measure how effectively your team is performing? If you don’t you may find the Team DyNAmics Model of value and interest. Teams that have undertaken the online questionnaire and received their own unique Team DyNAmics Report, have found it extremely beneficial and worthwhile in helping them understand how effective their teamwork is and what to change to achieve even greater success. You can read more about the Team DyNAmics Model and Report here. If you want to discuss how it could help you and your team, please do send me an email.